Tigers belong to the genus of Panthera which also include other big cats including jaguars, leopards, and lions. There are 9 subspecies of tigers that have been classified, and 3 of them are extinct at this point in time. That means that there aren’t any more of the left living. The other remaining subspecies of tigers are in danger of not being able to survive as well due to habitat destruction and hunting by humans. Perhaps the most well-known of all tigers is the Bengal Tiger. It lives in many locations including Bangladesh, Nepal, and India. There are approximately 2,500 of them left in the wild. They live in a variety of habitats including grasslands and rain forests. Males can weigh from 390 to 570 pounds. The females are smaller with a weight from 220 to 400 pounds. Since 1972, Project Tiger has been in place to help with protecting these tigers in their natural environment. This is based on their importance to the habitat as well as for the heritage of the people. Yet the demand for bones and other parts for Chinese medicine continues to be a huge threat to their survival. Poaching and illegal trade are hard to prove and there is lots of money to be made on the black market which is why it is so enticing. 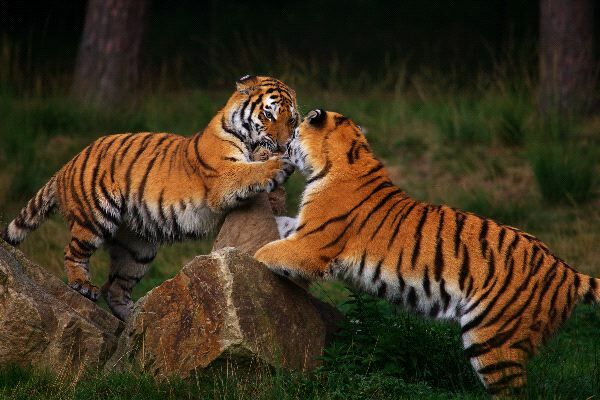 The Indochinese Tiger lives in various locations including Vietnam, China, and Vietnam. They are small with males about 330 to 420 pounds and females from 240 to 310 pounds. They often live in mountain or hill terrains. There is an estimated 350 of these tigers in the wild which is very low. They are at risk of problems with habitat, poaching, and not being able to find enough food. Inbreeding is also a concern due to the small genetic pool available. The Malayan Tiger is found around Malay Peninsula and it wasn’t identified as a subspecies until 2004. There are about 500 of them in the wild but poaching is a huge concern for them. This is also a small subspecies of tiger. The males average about 260 pounds and the females are about 220 pounds. In Malaysia, this tiger is the coat of arms and found on many logos. It has a significant role in the overall heritage. 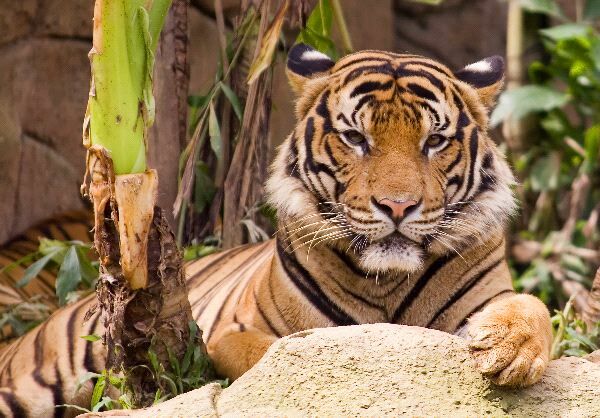 Sumatra is an island in Indonesia where the Sumatran Tiger is found. Is one of the smallest tiger subspecies, also the one most at risk of extinction right now. The males weigh from 220 to 310 pounds. The females range from 170 pounds to 240 pounds. They live in thick forests that are very dense. There are only 400 to 500 of them left in the wild. Many people are familiar with the Siberian Tiger which lives in the far Eastern parts of Siberia. They are large tigers with the males weighing about 500 pounds and the females about 400 pounds. The current population is about 250 in the wild so there is plenty of concern about their future survival. It is believed to be very closely related to the extinct Caspian Tiger subspecies. Another of the critically endangered is the South China Tiger. They are on the list of top 10 endangered animals in the world. The males average weight is from 280 to 390 pounds. For the females, it is from 220 and 260 pounds. It is believed that no more of them are found in the wild. They haven’t been seen in the wild since 1983. There are 59 of them known to be in captivity, all residing in China.